Now you don't have to waste money on expensive ink and printers. 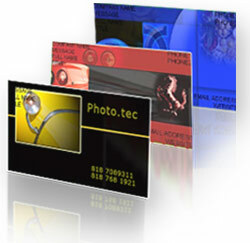 Let us handle your printing needs for your digital photos. 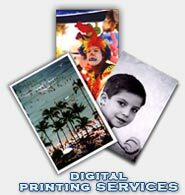 Printing on high quality paper and with professional printers guaranties that your precious memories will last for a long time. Or get those memories on a Canvas, like a real painting. Whether you're a starting businessman, or a company that realizes the power of advertisement, you probably know that business cards are a great way to reach out to thousands. Without having to spend large sums on other forms of advertisements you can save your money for something else. And with our low prices, you could save even more. So take advantage of our low prices, high quality and let us help you elevate your business to new heights! Business cards aren't enough? When you have specific customers or you wish to reinforce your advertising power, you can always find ways to expand. 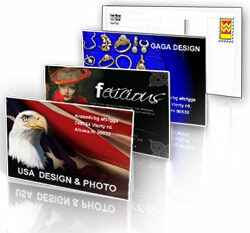 And what better way, than to reach your customers with attractive and compact postcards? With several sizes to choose from, you can easily find the right one for your needs. So you don't think you have to advertise when you have a small business? Some people in your neighborhood may still be unaware of your cozy little (or not so little) business. Don't waste a second more. 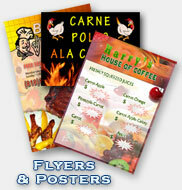 Posters and Flyers are the best affordable way to make big impressions. Full-color posters and flyers are ideal for window placement, restaurants and bars, or theatre announcements. - Use them whenever you need to get noticed.